•	Laboratory External Administrator (1994-1996) / Chemical Engineering Department / Al-Nahrain University. •	Lecturer (1996-1998) / Chemical Engineering Department / Al-Nahrain University teaching the subject Process Control. 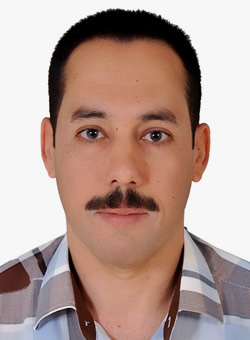 •	Lecturer (1996-2001) / Chemical Engineering Department / Al-Nahrain University teaching the subject Chemical Reactor Design. •	Lecturer (2000-2001) / Chemical Engineering Department / University of Technology teaching the subject Computer Application in the Design of Chemical Plants. •	Lecturer (2001-2002) / Training and Development Institute teaching the subject Heterogeneous Reactions and influence of Catalyst in the Design of Catalytic Reactors. •	Lecturer (2005-2006) / Chemical Engineering Department / University of Technology teaching the subject storage and transportation of Petroleum product. •	Lecturer (2006-2008) / Chemical Engineering Department / University of Technology teaching the subject Vapor – Liquid Equilibrium (Thermodynamic). •	Lecturer (2008-2011) / Chemical Engineering Department / University of Technology teaching the subject Industrial management. •	Lecturer (2011-2014) / Chemical Engineering Department / University of Technology teaching the subject Computer programming. •	Lecturer (2015-2016) / Oil and Gas Engineering Department / College of Engineering / University of Thi Qar teaching the subject Thermodynamic – Second Class. •	Lecturer (2015-2016) / Oil and Gas Engineering Department / College of Engineering / University of Thi Qar teaching the subject Chemistry – First Class. Extraction of phenol from industrial water using different solvents. Isobaric Vapor - Liquid Equilibria of Gasoline Additives Systems At 101.3 kPa. Developed Correlations for Prediction of the Enthalpies of Saturated Vapor – Liquid Coexisting Phases. New Correlation When Fitting Data of ASTM Distillation Curves. Extraction of High Purity Aromatic from Catalytic Reformates Using Sulfolane and Tetraethylene Glycol as Industrial Solvents. Extraction of Tetrahydrofurfuryl Alcohol from Aqueous Solution Using Cyclic Solvent (C6 Ring-Containing Organic Solvent) As Industrial Solvent. The Effect of Heat and Mass Transfer on the Corrosion of Iron in Water Containing Sodium Chloride. Extraction of Phenolic Pollutants (Phenol and p-Chlorophenol) from Industrial Wastewater. Study the effect of adding co-solvent (n-alkoxyethanol) to Sulfolane on the Toluene extraction. Modified NRTL equation in predicting liquid – liquid equilibria.